Former Los Angeles Lakers coach Luke Walton has been named as the Sacramento Kings' replacement for Dave Joerger. "I have known Luke for many years and I am so excited to welcome him and his family to the Sacramento Kings," GM Vlade Divac said in a statement. 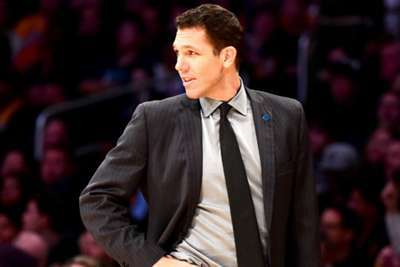 In three seasons with the Lakers, Walton went 98-148 and the team's record continued to improve each year, but his late-game management was questioned at times towards the end of his tenure and there was speculation throughout much of the campaign that he would be let go. Walton will take over a Kings team that has missed the playoffs for 13 straight years, though they were in contention for much of 2018-19 before finishing ninth in the Western Conference.